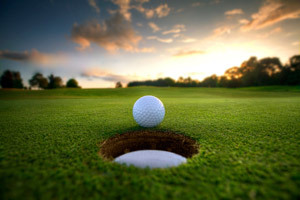 In this guide, we’ll setup ticketing for a golf tournament using Event Espresso. Before we begin setting up our event, lets take a look at the information that we will be using for this event. Login to the WordPress admin and locate Event Espresso in the admin menu. Then click on Venues. On the next page click on the Add New Venue button which appears at the top of the page. You’ll now be viewing the Venue Editor and you can begin entering information about the venue that is hosting your event. 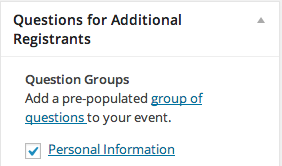 We recommend entering at least a name, description, and address for your venue. Then enable Google Map for this venue by setting the toggle to Yes and then save changes to your venue. Now we want to go to the Event Espresso Event Editor so that we can create our golf tournament. The next step is to setup our ticket options. For the first ticket, we need to enter a name, then select a start date and end date for ticket sales. The price should be set to $250. Then click on the advanced options (small gear). Then set the minimum and maximum quantity to 4. This will ensure that only a group of four tickets ($250 multiplied by 4 equals $1000) can be purchased for this specific ticket option. To create the second ticket, click on the Create Ticket button. This will add an additional ticket. Add a title for this ticket and set the start date and end date for ticket sales. Then we’ll set the price to $250. The first ticket option is restricted to purchasing in a batch of 4. 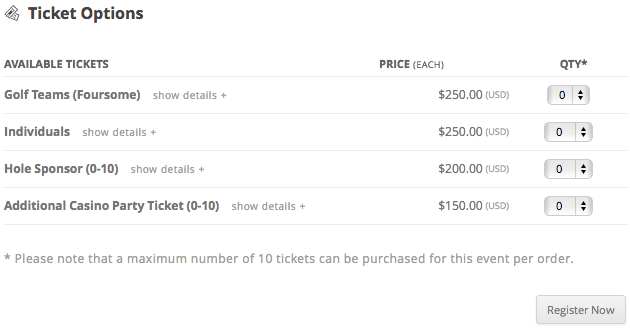 The other ticket options will allow a quantity from 1 through 10. The primary registrant will be asked for their contact information along with their address. Any additional registrants will only be asked for an name and email. 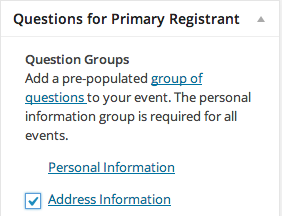 It is possible to collect additional information from registrants by setting up new questions and question groups.